What kind of art (if any) would be possible in a world without imagination? We have the world. Its nature and conditions are very similar to Earth, only the people are very different in one detail (but I would say it is a very important one). People in this world are not able to imagine anything; they completely lack the creativity. They cannot think about anything that is not very strictly based on things they see around. It is possible to create something new, but it must be very logically established on some already real cause without any intermediate innovational steps. I can imagine that in this kind of world any progress would be very slow. But what I am not sure about: Has the art, a concept essentially based on creativity, any reason to grow? Why would people do that? To communicate? To give something to the world? Would they be even interested in consuming the art anymore? How would it look like? What kind of art would be on top? The question you ask dives deep into the heart of philosophy and the eternal question "what is consciousness?" Imagination is typically considered to be something deeply entwined with consciousness, so it's hard to imagine a creature which has consciousness but lacks imagination. Of course, defining "imagination" is hard enough. I've had several comment exchanges with the OP on this topic trying to pin down the word and it is as difficult as one can expect. Accordingly, I think it makes sense to approach the question in a multi-level fashion, starting from the most generalized philosophy and working close to the specifics the OP asked for. In philosophy we have a concept called "p-zombies" that we use to explore the idea of "conciousness." P-zombies are entities which are explicitly not conscious, but otherwise operate as we do. An example might be a player piano like machine which is loaded up with every action it will ever do. If the tape that runs through that player piano were designed by an omniscient deity, they may be able to appear to respond to us as a conscious individual would, but would not in fact be conscious. More advanced p-zombies are explored, of course. We can have p-zombies based on combinatorial logic or sequential logic (which are how FPGAs operate), which decreases the need for an omniscient deity to load a future-predicting tape of data, but they're all put in the same class because they are not conscious but may appear to be conscious. For all our philosophy, we have come up with no way to identify a difference between a conscious individual and a p-zombie. They can look and act just like we can. They can even appear to feel things like pain and joy by responding properly. This is important to the story of imagination because we can imagine a conscious entity with imagination, thus we must be able to imagine a p-zombie which appears to have imagination as well. There would be no distinguishing factor between this imagination-less p-zombie and a creature with imagination, so the limitation here that "these creatures do not have imagination" is not limiting at all. They can do anything we can do. Thus, from a philosophical perspective, they would be able to construct any art that we can. The direction and duration of waggle runs are closely correlated with the direction and distance of the resource being advertised by the dancing bee. The resource can include the location of a food source or a potential .... flowers that are located directly in line with the sun are represented by waggle runs in an upward direction on the vertical combs, and any angle to the right or left of the sun is coded by a corresponding angle to the right or left of the upward direction. The distance between hive and recruitment target is encoded in the duration of the waggle runs. The farther the target, the longer the waggle phase. The more excited the bee is about the location, the more rapidly it will waggle, so it will grab the attention of the observing bees, and try to convince them. If multiple bees are doing the waggle dance, it's a competition to convince the observing bees to follow their lead, and competing bees may even disrupt other bees' dances or fight each other off. From an imagination perspective, this dance is important because it conveys abstract concepts. Worker bees who observe a waggle dance observe an abstract encoding of data and make decisions off of it. Note that, in the above quote, there may be competition between multiple foragers. The "winner" is the one who expressed their idea the best, instilling in the minds of the other bees a sense of a field of flowers the other worker has not yet experienced. Thus, you may say the interpretive waggle dance of honeybees encourages other honeybees to imagine the field of flowers well enough to encourage other honeybees into motion! This creates some bounds on the question. We know that we can't rely on the metaphysical definition of "imagination" to answer the question, and we know that a lowly 1cm long animal exhibits imagination like behaviors. Your creature is going to have to fit in this space, or else we must admit that either imagination is more nuanced than we think or your creature is less advanced than a honeybee. Ok, my definition: Imagination is the ability to devise, invent or even make anything that is new at all. To do it without making the steps that weren't in front of me already. Example: I can see a crocodile so I can think about a lizard (and possibly draw it for example). I European woods so I can think about that too. What more? I can think about the lizard in the woods. But what I cannot think about is a deep African jungle with dragons (even so that is very similar to what I know). If I saw more sizes of lizards I can imagine a giant lizard (but not if I only saw one). So this shows that these creatures can observe concrete things and draw abstractions from them. We can even compose an image consisting of two things we've seen. However, we can narrow this down based on your response to TheSexyMinhir's answer. In that answer, it was assumed that your creatures lacked the ability to create abstract thoughts, but you disagreed with that in comments, saying that you would prefer answers focusing the lack of what TheSexyMinhir called "Recombination:" the ability to take the attributes of one thing and apply them to something else. Now we can see the important dividing line for your creature's lack of imagination. It can compose a scene, but it cannot recombine elements of two scenes. This will be the key to art in your creatures world: the ability to compose a world that contains the art and then see if they have an action which can bring this to reality. Accordingly, I would expect their art to be tremendously subtle and terribly fierce. Without a clear way to recombine reality with the scene in their head, their work would be inherently bimodal. Either their actions would be subtle enough that they did not need to recombine reality with their scene, or their actions would create an environment where future compositions also are actionable. Their life would be in a constant swing between just barely simmering, trying to wait for a scene which permits compositing, and loud powerful aggression. 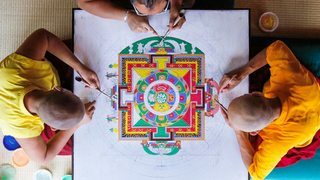 During the simmering phase I could see time-consuming art being popular, such as the mandalas done by monks. In this approach, the art is always just barely one step away from reality, so it can grow forward by tiny steps which can be composed from reality. You may also see fractaline artwork, depending on your definition of recombining ideas. Fractals are self-similar, so recombining the scene before them with itself would yield fractaline art*. This art would be very healthy for them, as it would exercise their composition side of their mind, which is much needed for their long term survival. They would almost certainly develop art as a form of mental exercise, given the inability to recombine. However, once in a while, one individual would find that the images he is composing can be acted on with great force. Sometimes when they compose their scene in their head and compare it to reality, they see that one swift action can bring reality in line with their composed scene. In these times, their art would look more like war. When they compose a scene in their head, and find that all they need to do to conceive it is to whack off your head, you'll find they are more than happy to express themselves with an axe or a sword. This would suggest their warfare would be similar in nature to that of the Daleks from Dr. Who. 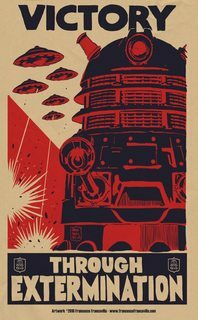 The Daleks were famously uncreative, seeking nothing but to eradicate everything that was not pure Dalek. In fact, they were so uncreative that eventually they had to split off the Cult of Scara, which was a mere 4 Daleks (out of millions) who sought out imagination to find new ways to kill everyone else. So when you consider the art they might create, I would concentrate on propaganda art which suggests this species is the only species that is worth existing. 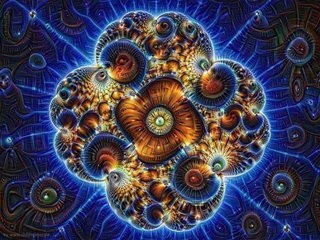 * For amusement, the fractal I chose was one which was run through Google Dreams. Google Dreams is clearly a piece of software with no imagination, and yet the results it produces are... provocative. However, it's exactly the opposite of your speices -- it can recombine but cannot compose. Art and innovation without any creativity does not sound realistic to me. They would always be content with what they have and would not see any reason to change anything, because they would need to imagine something better to strive for it. But, if I imagine that creativity is non-existent in your story: In Evolution something that is negative for an individual is often a reason to be attractive for other members of their species. The reason is that this individual can survive even with a disadvantage. Something similar is how we humans tend to buy unnecessary and expensive things just to show that we can afford to give away so much money. One reason might therefore be that your people want to impress others by showing that they have time to spend on something that is seen as a waste of time. With your question, we can go two ways. We have never had the ability to imagine things and therefore have never moved on to be as we are now. The immediate problem that comes from the second assumption is that the lack of imagination will mean humanity has never wondered about how fire worked, or why we're different than other beings, why we fall in love, why others do things. In short, if we follow down this path, humanity will have never invented fire, and therefore, we'd still be living in caves, which means art as we know it will have never started to exist, or have any function. So, let's go and assume humanity did have creativity to start with, but lost it over time. In that case, we just have to look at the functions of art in nowadays society, to be create some uses for art as we know it. Art, just like music, games, and other entertainment have always fulfilled the need for, well, entertainment. A lack of imagination does not take away that a person will still want to keep themselves busy with other things than work. Besides that, art has been a big part of product advertisement for years now. When you walk through a store, you can obviously see what brands are expensive, and which are not, simply by looking at the product. Often, the more "artsy" or "pretty" products are the better ones. If people are similar in each other way to reality, then this should have the same effect on them, as it has on us. Even though we do not have imagination, we still have emotions as human beings. Thus, we'll need ways to express this, and more often than not, art has proven to convey emotions very well. In short, as long as humanity has evolved into the current society we live in, we have plenty of reasons for art to still exist. I think art would (or at least could) still exist, but art appreciation would be based on technical prowess, rather than an emotional reaction to the art; whereas for us, art appreciation is a combination of the two. 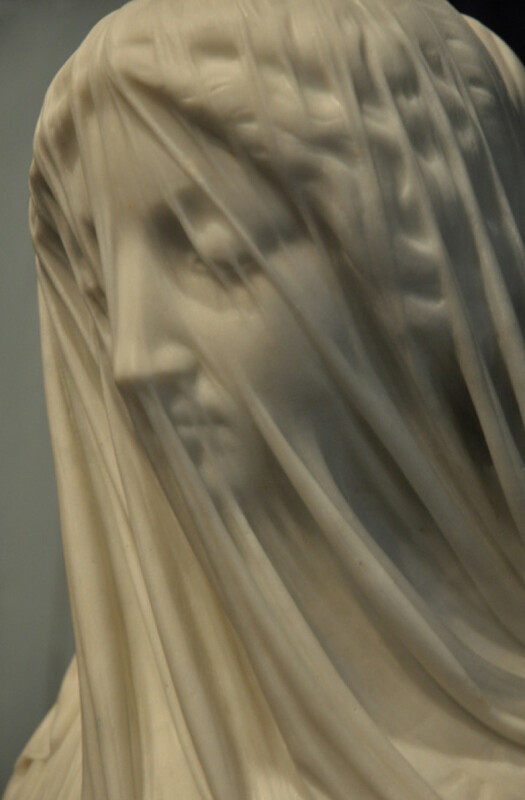 Hyperrealism would probably be the highest standard of painting and sculptures, while things like M. C. Escher's art wouldn't exist at all, I could certainly see a society without imagination producing something like this marble statue that imitates transparent cloth. I could see the existence of music going either way. Perhaps it doesn't take an imagination to find particular combinations of sounds aesthetically pleasing, and perhaps the mathematical underpinnings of music theory could be used to "derive" such aesthetically pleasing combinations, or perhaps they could be found by trial and error, but it seems unlikely, or at least very difficult. Let's assume some things first. In-sight: The ability to "see" something in your mind. Abstraction: The ability to reduce something to only it's relevant markers (all HAIR on a ANIMAL is called FUR regardless of COLOR). Recombination: The ability to take attributes of one thing, and apply them to something else (RED CHERRY + GREY ELEPHANT = RED ELEPHANT). These abilities can be combined (Raised Heart rate + emotion + visual/mental image of a person - weird itch on my nose - anger about boss at work = love => raised heart rate = love). In your world people are missing ability number 2. Your people have somehow managed to reach some form of civilization that isn't completely foreign to ours (BIG handwave there). So, why do people create Art? Your people still have emotions, so they can still enjoy art. Any Form of Art would strife to be extremely lifelike, since your people would lack the ability to understand which parts they can leave out for an enjoyable experience to still be enjoyable (e.g. all performances would be recreations of events or combinations of events, including the viewpoint of the person originally experiencing the event). Your people would probably have no need to create art to preserve things. Without abstraction, they couldn't apply past situation to their current circumstances anyway, unless they match one for one. Imagination is a means to create art, but entertainment is its main purpose (together perhaps with expression). People found it entertaining to listen to music, look at paintings and watch plays. The entertainment value comes mostly from the imaginative aspects of escaping to another world, the joy of seeing somebody do something skillful, and the more intangible, abstract kind of pleasure we derive from things like music. The people in your world will probably not be able to enjoy fiction, since it requires the consumer to have some imagination as well. But they will differentiate between pleasant and unpleasant experiences. A good example is food. most likely they enjoy eating calorie-rich foods, due to their evolutionary benefit. Surplus energy would be spent on seeking out specific foods that they prefer, and people with enough food could trade these for other goods and services. Without imagination it would take a long time to discover how to bake something like a cake, but small progress could be made by random experimentation, and with enough free time, lengthy random experimentation would be rewarded, even though people would have no concept of working towards a thing that doesn't exist yet. Music might emerge in a similar way. People could not actively put sounds together to invent music, but they would find certain sounds more agreeable than others. They would surround themselves with things that naturally make pleasant sounds and might stumble across simple combinations of such objects. they would perhaps come up with something like a windchime. 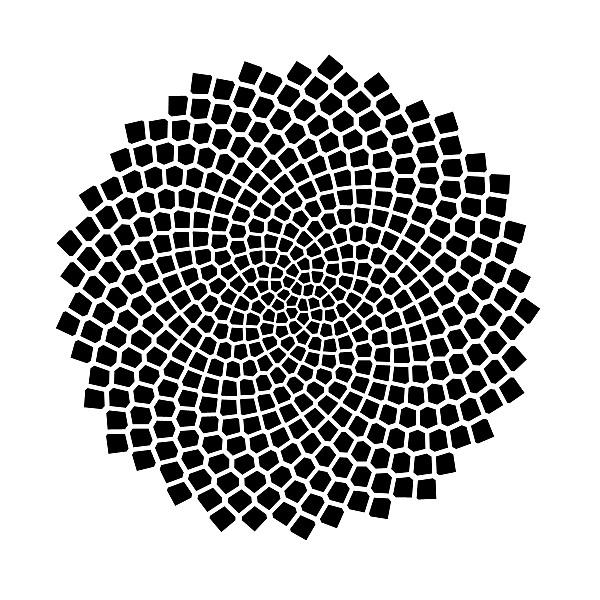 Finally, interesting visual patterns could emerge randomly by setting certain events in motion. Cutting the head of a chicken and letting it run around in white sand as it bleeds (sorry for the gory example) might produce a pleasant pattern. Once this is noticed, the process can be repeated to achieve the same effect. Most of their art would emerge in this kind of indirect fashion. They cannot imagine a goal and work towards it, but they would discover that when things are arranged in a certain way, the universe sometimes comes up with new things, which they can then recognize to have value. Once they have seen an example, they might be triggered to reproduce it, but they could only reproduce it by repeating the same steps. They would not think to paint the pattern in the sand themselves, but would keep slaughtering chickens in order to achieve the same pattern. There are several ways around a creative "block". You learn those techniques on universities that focus around this topic (Architecture, Sculpturing for e.g.). There are ways to create new things without being creative at all, but just interpreting what the result of a process is. Example: Crashing frozen things on the floor, shuffling them, calling them a draft, photographing and printing it on paper just to trash the result again and to unfold a remodeled bunch of lines that you call a section, view or plan for a new building often is enough to give you input that you self lack at this moment. You do not even need a plan, just a process, in some cases some parameters that you can throw in for modification. One important fact to keep in mind. The same goes for reason. Not always is the result something that seems to be worth the process. Curiosity alone is enough to drive engagement. As others I don't think that a creature that lacks any imagination can develop beyond the state of a trilobite. 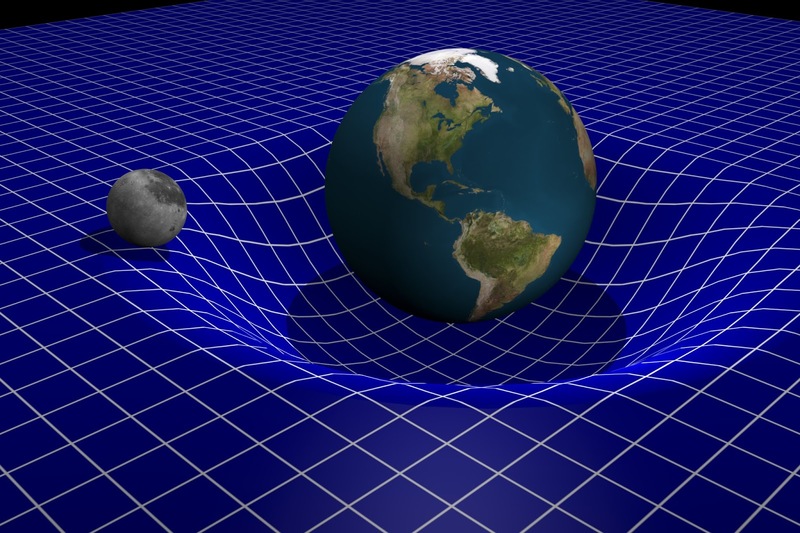 That we make models of the world around us is a key feature of intelligence, and because our information is incomplete any non-trivial model depends on some degree of imagination. By the way, that is also true for our ability to form communities of free individuals. 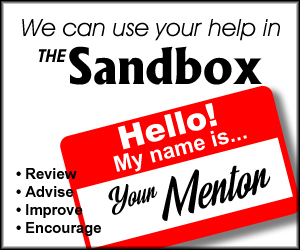 We can only do that because we can put ourselves in other peoples' shoes (partly because we have mirror neurons), which in turn needs some degree of imagination because actually we don't know at all how other people feel, or think, or perceive the color red. That said, I think even without any imagination one can still see patterns in reality and create art which shows such patterns. That kind of art would always be some form of abstraction. For example, one could depict the topology of a crystal lattice, or the gravity well of the solar system, or a network of friendships, or the geometry underlying the arrangement of sunflower seeds in the blossom. It would probably resemble the finest examples of technical illustrations in our text books, which I think can legitimately be called art. Portraits obviously, perhaps some slight embellishments on furniture or made of unusual materials. You could have some sort of art that makes itself, like adding various oils to a bowl of water and seeing what sort of colours and shapes emerge. Oversimplified portrayals of life might take on a sort of unrealistic quality. Simply pointing and shooting a camera by itself doesn't require creativity. I see a pretty sunset and would like to capture it, and so I take a photo. Other people like the photo, and will pay to hang it on their wall. Art. In a world where you can't imagine anything not in front of you, about all you can do is just that - make art of what's in front of you. Of course, really good photography does require creativity to tell a story, properly frame the subjects, color correct, etc. That said, it also takes creativity to appreciate the story and subtleties in good photography, so "good" photography wouldn't be appreciated in this imaginationless world anyway. I can imagine a world where abstract ideas are conveyed in a technical sense rather then an artistic one. Rather then paintings and sculptures we would see the proliferation of complex engineering designs and mechanical blueprints that convey all needed information in a clear and concise way, with no room for misinterpretation as the "true form" of that particular profession. Other engineers/welders/architects will understand the form of something from nothing but a sheet of paper. They can "see" the form of the thing in their mind but only through a complex and ordered understanding of their professional symbolism and standards. Not the answer you're looking for? Browse other questions tagged earth-like or ask your own question. Would a warlike species have an interest in art? What methods of transportation would develop in a Stone Age society in a forest world? What would happen when we take away the money on earth? What would life be like if individual nations didn't exist? How to form a kingdom where the king can stay in power for a thousand years? If wrong deeds were visible on a person's skin, how would the world change? Can a world go through multiple apocalypses without the dominant species going extinct or finding a solution?